The money is back and construction is on the rise. With more than 176 applications under review and 240 (more than 400MM) in the que, the upcoming year is going to be big for school construction in the State of California. If you are one of the 400+ construction projects, beware, the California Department of Education will delay your project plan check if you have students crossing school driveways to enter the campus. 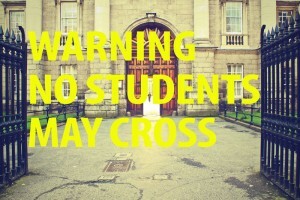 Student arrival and departure onto school campuses is a big concern for everyone. With more and more vehicles on the roads and streets seemingly getting smaller and an emphasis on healthy living (walking to school) getting to and from campus can be challenging. Most vehicle on student incidents happen in driveways or while crossing driveways reports the CDE. So in an effort to abate that hazard, plan check is placing emphasis on your student loading and unloading routes. They will hold up your plans stated Bedelia Honeycutt of CDE at the LACOE Facitlies Network meeting yesterday. Double check your architects work and your safe routes to school plans to ensure that you don’t make this mistake. And if you are having trouble with congestion, traffic flow or loading & unloading students, check out our School Valet Training Program.